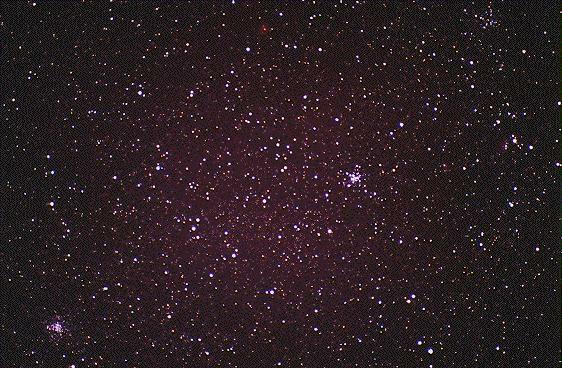 Three open clusters in Auriga, M36 (right of center), M37 (lower left), and M38 (upper right). by Alexander Jäger of the Interessengemeinschaft Astronomie. This exposure was obtained on September 26, 1995 with a 300-mm f/2.8 telephoto lens (stopped to f/3.4), exposed 10 minutes on Scotchchrome 400, from Todoque, La Palma.